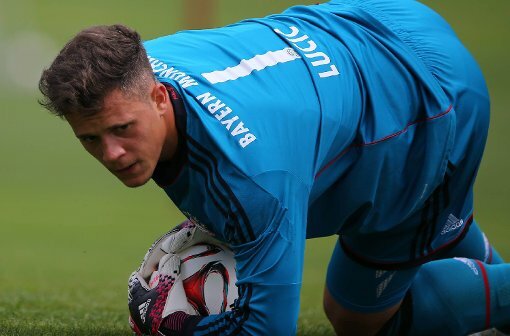 Austrian goalkeeper Ivan Lucic has completed his move to Bristol City from Bayern Munich just before the summer transfer window slam shut. There was a rumour spread over the season about the stopper’s movement but that was not clear which would be his new club. Finally, the Bavarians agreed with the Robins over the Austrian’s transfer and did not delay but to sell him. On the other side, the 21 years old have joined the English side for two years and the deal would be extended later based on his performance. The Robins manager Lee Johnson was impressed by the 21 years old Ivan during the last season performance which convinced him to sign this rising star. On the other side, the young goalkeeper also needed to move to the another club because the German giant actually used him as an alternative of their regular goalkeeper Manuel Neuer who is regarded as the best goalkeeper nowadays. So, with him in the German side permanently, the Austrian would have not any future there. So, he needed to move while he received a great opportunity and the Bristol City boss Lee Johnson is planning to use him and wants to train him perfectly. However, the stopper had to show a amazing performance where he played for the Cheltenham Town against the Robins in last Monday which was a pre season game and the both clubs were from Championship league. He scored there as a goalkeeper and so, the Robins manager though that he would be a great player in near future if he will receive proper training. But first, Lee Johnson wanted to pick him on loan but the Bavarians did not want to make any loan deal where they were ready to let this player permanently leave. About their new addition this summer, Johnson stated that he is a good athlete and ability play under pressure and also he can kick the ball well. The Robins are very happy to get this young player in their squad. The Austrian passed his youth career with Post SV Wien where he joined there in 2004. Made his senior debut with SV Ried where he made just one appearance. He joined the Bayern Munich reserve team in 2014 where he played 15 match. But with the main team of the Bavarians, he did not get any chance to play. He also played for the Austrian under 19 team and made 11 appearances. He did not get chance to play with the national team but he is about to.